Betty Lark Ross loves using a camera to explore, document and create. 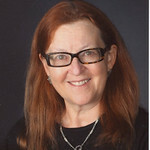 Ms. Ross has been teaching photography at The Latin School of Chicago for over thirty years. Annually she travels with students to photograph in visually stunning locations. She has lead student tours to Cambodia, Turkey, Mexico, Europe, Tanzania, Japan, Korea, and a variety of places in the United States. She is a Past President of PIEA, The Photo Imaging Education Association. Some photos are available for purchase through this site. Photographs are professionally custom-printed on archival-grade Kodak Professional paper. All photographs are copyrighted and cannot be used without permission. Betty Lark Ross can be reached bross@latinschool.org. Archival prints of some images are available upon request. PS. The fire troupe that I love photographing are called Pyrotechniq. You can find more information about them at www.pyrotechniq.org. They are part of the Chicago Fire Tribe. I also photographed some fire spinners called Festiflam(www.festiflam.net) in Montpellier, France during June 2008. See the video we made for the A1 Sing For Your Beef Contest. Too bad we missed the deadline.